SOCHI. 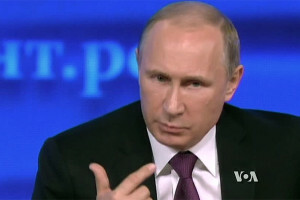 July 21 (Interfax) – Russian President Vladimir Putin said that he usually manages to contain his aggressive mood and in those rare cases when he does lose his temper he is angry with himself. “Of course, I too constantly experience stressful and semi-stressful situations, I don’t like a lot of things, but I have still learnt how to control myself, and I don’t know how it looks on the outside, but I think I am good at it,” Putin said at a meeting with students at the Sirius educational center for gifted children. The president called the ability to control one’s own aggression a big advantage in interpersonal relations, especially with people who cannot control their emotions. “If I sometimes lose it, which happens extremely rarely, honestly, I get very angry with myself because I believe that a manifestation of aggression in today’s world, in today’s society, in relations among people is partly a manifestation of weakness, and I don’t like that,” Putin said. A person starts acting aggressively when he or she runs out of arguments, he said. Aggression has been built into humans since pre-historic times but the cleverer, the more intelligent and educated a person is, the more he or she is capable of suppressing it, the president said. He thus responded to a question how he handles the aggression directed at him and whether he allows himself to be aggressive towards other people.